We would like to give special thanks to the following companies who work with us to help us recruit and support more governors. 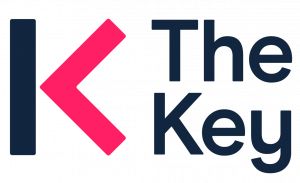 The Key provides expert information and smart solutions, to help education leaders work more effectively. Our market-leading information services, professional development and online platform solutions support more than 45% of schools in England, helping busy professionals work with increased confidence, knowledge and capacity. At the heart of everything we do is a passionate commitment to supporting schools in delivering better outcomes for children and young people. Now Teach brings experienced professionals into teaching. As lives and careers last longer, Now Teach is uniquely tailored to support people as they change profession and redeploy their talent and experience in the classroom; addressing declining numbers of qualifying teachers and ensuring the students who need it most get the best education possible. In doing so, Now Teach aims to draw on the experience its teachers have from successful careers in industry and the public sector to inform the future direction of our education system and the teaching profession. 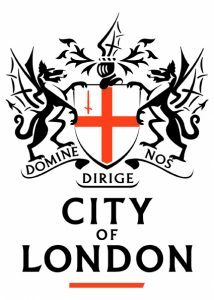 The City of London Corporation is the governing body of the Square Mile dedicated to a vibrant and thriving City, supporting a diverse and sustainable London within a globally-successful UK. Arbor helps schools and MATs learn from their data to save teachers time and improve student outcomes. Our simple, smart, cloud-based school MIS brings all your student and staff data together in one place to improve insight, and automates repetitive tasks to save staff time. Our MAT MIS centralises data reporting, streamlines processes and helps you manage all your schools remotely from one system, whilst still giving schools the autonomy to personalise the system to use the measures and language that matter to them. Improving the life chances of young people, particularly the disadvantaged, is critical to the UK’s social and economic success. Multi-academy trusts aim to change education in England for the better by raising standards across groups of schools. Business leaders can help trusts and pupils succeed by joining as a non-executive director. Academy Ambassadors provides a free, bespoke service matching business professionals with multi-academy trusts looking to strengthen their boards. Since 2013 the programme, funded by the Department for Education, has introduced over 1000 business people and professionals to trust boards. By working together, talented business leaders and inspirational educationalists and can provide a better future for the next generation. Find the latest board opportunities here. The Ethical Property Foundation is a registered UK charity which provides expert property advice, education and consultancy services to charities and not for profits. In 2015, the Foundation became sole referral partner to the Charity Commission for land and property advice, since when it has supported over 60 educational organisations. We offer Governors property health checks to help plan future spending; feasibility studies, tailored training as well as property strategies and individual advice. Our goal is to save worry and stress so that Governors can make the best use of their buildings for the communities they serve. For details – visit our website. Getting on Board supports individuals to become voluntary charity board members (trustees). Like becoming a school governor, joining a charity board is an excellent opportunity to develop new skills and to use your existing talents to support a good cause. We also work with employers to introduce groups of employees to trusteeship. 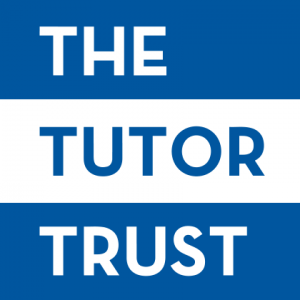 The Tutor Trust aims to democratise one-to-one tuition and helps tackle educational inequality. We serve disadvantaged pupils by supplying schools with first class academic tutors – university students, recruited and trained by us. We are unique – Britain’s only professional, not-for profit tuition service for state schools in challenging communities. We would like to give special thanks to the following professional bodies who work with us to help us recruit and support more governors. Founded in 1928, the Association of International Accountants (AIA) is a global body for professional accountants. We create world class accountants; through offering high-standard, relevant and innovative qualifications, and providing first-class, tailored and pertinent services for our members around the world. AIA works in the public interest, ensuring that our members are appropriately regulated for the work that they carry out.